Lake Baikal - lake of tectonic origin in the southern part of Eastern Siberia, the deepest lake on the planet, the largest natural reservoir of fresh water. The lake and the coastal area features a unique variety of flora and fauna, most of the species are endemic. Local residents and many in Russia is traditionally called the Baikal sea. Water mass of Baikal influences the climate of the coastal territory. Winter here is mild and summer is cool. The coming of spring on lake Baikal is delayed for 10-15 days compared with surrounding areas, and autumn is often quite long. The Baikal area is a large total duration of sunshine. For example, in the village of Bolshoe Goloustnoe it comes to 2524 hours, which is more than the resorts on the black sea, and is a record for Russia. 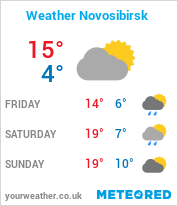 Days without sunshine a year in the same locality is only 37 and on Olkhon island - 48. Special features of the climate is conditioned Baikal winds, which have their own names - Barguzin, Sarma, Verkhovik, Kultuk. The origin of the lake. The origin of the Baikal still causes of scientific disputes. The age of the lake, scientists traditionally defined at 25-35 million years. This fact also makes the Baikal is a unique natural object, as most of the lakes, especially the glacial origin, live an average of 10-15 thousand years, and then filled with silt sediments and logged. However, there is also a version of the youth of Baikal, made by doctor of geological-mineralogical Sciences Century A. Tatarinov during 2009, which was an indirect confirmation during the second stage of expedition "Worlds" on Baikal. In particular, the activity of mud volcanoes on the bottom of Baikal allows scientists to assume that the modern shoreline of the lake, only 8 thousand years, and the deep-water part - 150 thousand years. Undoubtedly only that the lake is located in the rift trough and the structure is similar, for example, with a pool of Dead sea. Some researchers explain the formation of Baikal is its location in the area transform fault, others suggest the presence of under Baikal mantle plume, third explain the formation of hollows passive rifting the collision of the Eurasian plate and the Indian subcontinent. Be that as it may, the transformation of Baikal is still ongoing in the vicinity of the lake are constantly earthquakes. There are assumptions that the depression depression is associated with the formation of vacuum lesions due to the outpouring of basalts on the surface (the Quaternary period). The Baikal area (the so-called Baikal rift zone) refers to the territories with high seismicity: here regularly earthquakes, power greater part of which is one or two points on a scale of intensity MSK-64. But it does happen and strong; so, in 1862 with the ten-grade Kudrinskay the earthquake in the Northern part of the Delta of the Selenga went under water, the land area of 200 km2 with 6 ulus, where lived 1,300 people and formed the Gulf of Failure. Strong earthquakes were registered in 1903 (Baikal), 1950 (Kondinskoe), 1957 (MUI), 1959 (Srednevyborgskoe). The epicenter Srednevyborgskoe of the earthquake was at the bottom of lake Baikal in the area of the village is Dry (the South-East coast). The force of it was 9 points. In Ulan-Ude and Irkutsk power of the main impetus reached 5-6 points was observed cracks and minor fracture in buildings and constructions. The last strong earthquakes in the Baikal took place in August 2008 (9 points) and in February 2010 (6,1 points). The geographical position and the sizes of a basin. Lake Baikal is located in the centre of the Asian continent, on the border of Irkutsk region and Republic of Buryatia in the Russian Federation. It stretches from the North-East to South-West 620 km, giant Crescent. The width of the Baikal range from 24 to 79 km of the Baikal Bottom in 1167 metres below the ocean level, and mirror itOn water surface area Baikal ranks sixth among the largest lakes in the world. The length of the coastline - 2100 km of the Lake is situated in a valley, surrounded on all sides by mountain ranges and hills. While the West coast is rocky and steep terrain of the East coast is flatter (the mountains away from the shore tens of kilometers). Baikal - the deepest lake in the world. Present value of the maximum depth of the lake - 1642 meters - was established in 1983 and LG Kolotilo AI Sulimova runtime hydrographic expedition GUNiO USSR Ministry of Defense at coordinates 53 ° 14'59'' s. sh. 108 ° 05'11'' to. d (G) (O). Maximum depth was mapped in 1992 and confirmed in 2002 as a result of the joint Belgian-Spanish-Russian project to build a new bathymetric map of Lake Baikal, where were digitized depth 1,312,788 points lake waters (depth values ​​were obtained by recalculating acoustic sensing data, combined with additional bathymetric information, including sonar and seismic profiling, one of the authors of the opening of the maximum depth, LG Kolotilo, was a participant in this project). If we consider that the water surface of the lake is located at an altitude of 455.5 meters above sea level, the lowest point of the basin lies at 1186.5 m below sea level, which makes the cup Baikal is also one of the deepest continental basins. The average depth of the lake is also very high - 744.4 sq. It exceeds the maximum depth of a number of very deep lakes. Also in the world Baikal Lake, only two have a depth of over 1000 meters: Tanganyika (1470 m) and the Caspian Sea (1025 m). (According to some reports the subglacial Lake Vostok in Antarctica has a depth of over 1200 meters, but we must remember that this sub-glacial "lake" is not a lake, in the sense that we are used as water over four kilometers of ice and it is a kind of a closed container where the water is under tremendous pressure, and "surface" or "level" of water in different parts of the 'lake' differs by more than 400 meters. Thus, the concept of "depth" to the subglacial Lake Vostok is radically different from the depth of the "ordinary" Lakes ). Basic properties of the Baikal water can be briefly described as follows: there are very few of dissolved and suspended minerals negligible organic impurities, much oxygen. Cold water in the lake. The temperature of the surface layers, even in summer does not exceed +8 ... +9 ° C, in some bays - +15 ° C. Low deep layers - about +4 ° C. The maximum recorded temperature in some bays - +23 ° C. The lake water is so transparent that the individual stones and various objects are visible at a depth of 40 m at this time Baikal water is blue. In the summer and autumn, when the water in the warm sun develops weight of plant and animal organisms, its transparency is reduced to 8.10 m, and the color becomes blue-green and green. Clean and clear water of Lake Baikal contains so little mineral salts (96.7 mg / L) that can be used instead of distilled. Baikal water mass influences the climate of the coastal territory. Winter here is milder and summer - cooler. The arrival of spring at Lake Baikal is delayed by 10-15 days compared to the surrounding areas, and the autumn is often quite long. Baikal region differs large total sunshine duration. For example, in the village of Big Goloustnoye it comes to 2524 hours, which is longer than the Black Sea resorts, and is a record for Russia. Free days of sunshine a year in the same village is only 37, and on the island of Olkhon - 48. Specific features of the climate caused Baikal winds, which have their own names - Barguzine, sarma, verkhovik, kultuk. According to the Limnological Institute of the Siberian Branch of the Russian Academy of Sciences, in the Baikal there are 2,630 species and varieties of plants and animals, two thirds of which are endemic, ie found only in this reservoir. These include about 1,000 endemic species, 96 genera, 11 families and subfamilies endemic. 27 species of fish of Lake Baikal are found nowhere else Such an abundance of living organisms due to the large oxygen content throughout the entire thickness of the Baikal water. Crustacean epishura - endemic Baikal - up to 80% of the zooplankton biomass lake and is an important link in the food chain of the pond. He serves as a filter: passes through a water purifying it. Baikal oligochaetes, 84.5% of which - endemics make up 70-90% of the biomass of zoobenthos and play an important role in the processes of self-purification of the lake, and as forage base benthophage fish and invertebrate prey. They participate in the aeration of soil and organic matter mineralization. The most interesting in Baikal viviparous golomyanka whose body contains up to 30% fat. She surprised biologists daily feeding migrations from the depths of the shallow water. Of fish are found in the lake Baikal cisco, grayling, whitefish, Baikal sturgeon (Acipenser baeri baicalensis), eel, trout, pike and others. Baikal is unique among lakes that in deep freshwater sponges grow here.